FDA has not mandated the use of allergen residue testing to assess the effectiveness of preventive allergen controls such as cleaning of shared equipment. 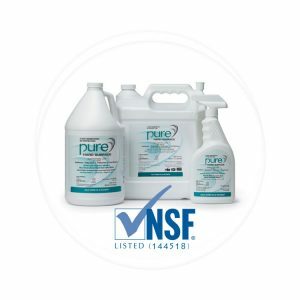 However, the prudent use of such methods is very useful in determining whether allergen cleaning procedures (SSOPs) are effective and consistent. Increasingly, food companies do use swab testing of equipment surfaces for SSOP validation. The Food Safety Modernization Act (FSMA) stipulates that allergens are a potential hazard. FSMA requires preventive allergen control implementation in manufacturing facilities that handle allergens. The food industry makes extensive use of shared manufacturing equipment for multiple formulations, some containing allergenic foods or ingredients and others not. The cleaning of shared equipment is a critical preventive allergen control step. While FDA has not yet released its anticipated guidance on preventive allergen control, it has already begun to conduct FSMA inspections, and some of those inspections have included assessment of preventive allergen controls. Thus, food companies using allergenic foods or ingredients should develop an Allergen Control Plan, and effective and consistent procedures for the cleaning of shared equipment. In the U.S., the major allergens are defined as milk, eggs, fish, crustacean shellfish (shrimp, crab, lobster), peanut, soybean, tree nuts (walnut, cashew, etc. ), and wheat. Ingredients derived from the major allergenic foods are also considered allergens for labeling purposes, although the comparative allergen loads (the amount of protein from the allergenic source) are highly variable from non-detectable (e.g., butter oil, cold-pressed soybean oil) to low (e.g., lactose) to high (e.g., wheat flour, soybean flour, casein, whey protein concentrate). The effectiveness of allergen SSOPs is typically focused on the major allergenic foods and ingredients derived from them, especially ingredients with high allergen loads. Allergen swabs can be effective in assessing the cleanliness of equipment surfaces. The swabs can be tested directly using certain commercial kits such as Neogen Alert kits. More commonly, swab use is coupled with lateral flow devices (LFD), also known as strip tests. Many allergen-specific commercial companies offer LFDs, including Neogen, r-Biopharm, Romer Labs, and 3M. Commercial LFDs exist to detect residues of peanut, milk, egg, soy, gluten (wheat, rye, barley), various tree nuts, crustacean shellfish, and fish. LFDs and swab tests are highly specific and based upon antibodies that bind to protein(s) from the allergenic food. These test methods are qualitative but capable of detecting very low residual levels of allergens on equipment surfaces. These methods can also be used for detection of residues in clean-in-place (CIP) final rinse water samples. Some companies use these qualitative methods on ingredients or processed food samples, but their use for such purposes is not recommended unless careful evaluations have been done to ensure that the food matrix does not interfere with the detection of residues using LFDs. Because food allergens are proteins, allergen-specific swabs and LFDs are the most relevant approach to determine if allergen residues remain on equipment surfaces. However, other swab approaches are available, including general protein tests (e.g., 3M Clean-Trace) and ATP tests (e.g., Charm AllerGiene). General protein tests detect protein residues from any source, allergen or not. ATP is a molecule found in all biological organisms, so ATP testing will detect soil residues on equipment surfaces from many sources. In our experience, general protein and ATP swab methods are slightly less sensitive than allergen-specific LFD methods. Due to their specificity, allergen-specific swabs with LFDs are more suitable for validation of SSOP effectiveness. Careful thought should be given to selection of the optimal commercial kit. The following are some tips on choosing the correct test to help ensure allergen SSOPs are as effective as possible.